Why Are White Customised Kitchens a Great Choice For You? White is the colour of purity and tranquillity. It captivates the mind, and its charm and grandeur can endure the test of time. Perhaps that could explain the reason why so many homemakers are using white gloss tiles for decorating the Heart N Soul of Their Home. What Makes White Kitchens Best-Sellers? If you share similar thoughts, then here are some perks of white customised kitchen which will make you proud of your decision. Customised white kitchen decor proves pleasing to the eye, and its neutral texture makes it correspond with any coloured tile. It inflicts a sense of positivity to the entire kitchen presentation and makes it inviting for your guests. 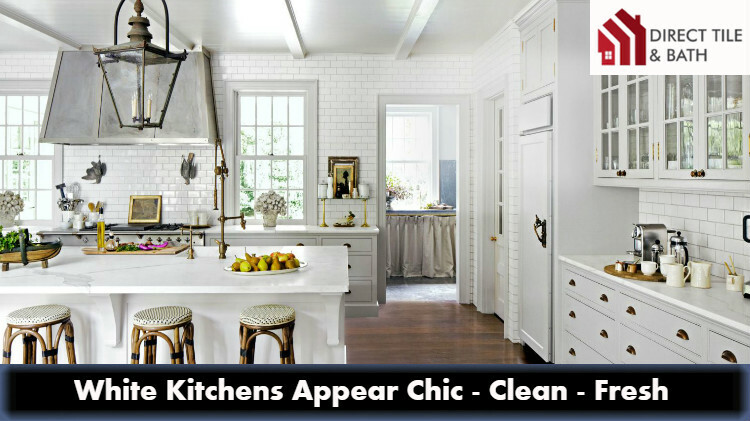 The grandeur of your kitchen will never diminish as white doesn't fade. But hold your horses mate; there are many more reasons why you should opt for custom-designed white kitchens. Continue reading! A survey reveals that 67% of homemakers consider white kitchens as their primary choice of decor. And amazingly, this number continues increasing with time. Using glossy white tiles or subway tiles for your kitchen helps you camouflage your architectural imperfections, blemishes on walls and mechanical ducts. 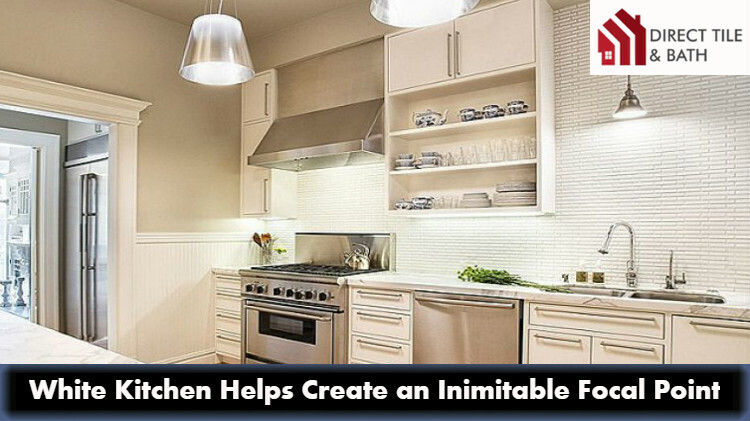 It also adds a distinctive feature to your kitchen walls and enlivens your old homes. Many also believe that since white signifies cleanliness and freshness, using white tiles will emulate the same kind of effect on your kitchen presentation. It will also keep your kitchen cool and presents a calming backsplash. Good science reveals that darker colours always absorb light while white shades reflect them. 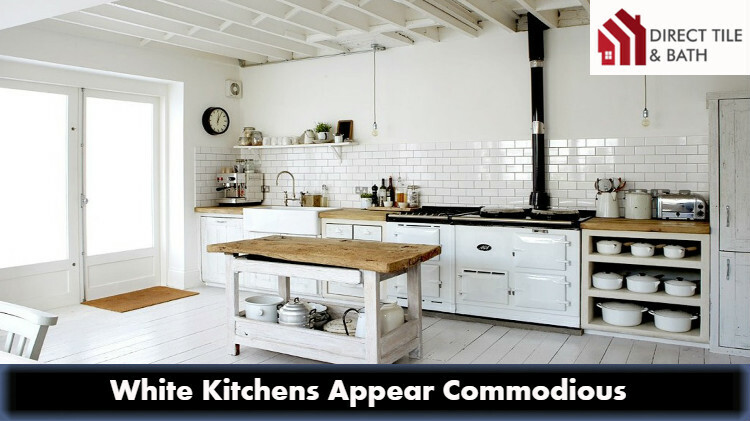 If you custom design your kitchen using gorgeous white subway tiles (either with solid designs or with patterns), it will make your little kitchens more commodious. Naturally, when a room is decorated with black (or dark shaded) tiles, your eyes understand this light absorption and signals the brain that the kitchen space appears smaller. It's like a mirage when realistically the room is still the same. So, opting for white coloured subway tiles in Perth, allows you to use the 'Science of Perception' to your favour and make your guests feel that your kitchen has plenty of space. If you are one who finds great pleasure in 'show-n-tell' then decorating your kitchen with white tiles will serve advantageously for you. It forms the perfect backdrop for you to flaunt your newly bought refrigerator or installed a new wooden cabinet. Plus having a white tile kitchen makeover allows you to bring out your creative side and experiment with wallpaper accents, countertops or any other aspect which you want to upgrade. Summing up, custom designed kitchens seem perfect for homemakers having a refined taste preference. And if you like the idea of a white-tiled kitchen, then without wasting any more time, browse through the amazing tile options available at Direct Tile and Bath. You don't need to worry. The prices are competitive, and the qualities of tiles are excellent. Just make your pick and present a deluxe decor your favourite portion of your house.